At the 467th meeting of the Association on 14th March 2019, Nick Weston, CEO of Weston Aviation, was appointed as Chairman of BACA. Weston succeeds Richard Mumford who has held the role since 2016, and formally began his new position immediately. Speaking about his appointment as Chairman, Weston said “I am delighted and honoured to be elected as the next Chairman of the Association. After being a member for nearly 25 years and having served both as Council Member and Deputy Chairman, I feel the time is right for me to take up the role of chair. Under Richard’s chairmanship the Association has seen significant growth in membership numbers, its global reach has increased dramatically and the support and guidance we are able to offer our members has been significantly enhanced. I would like to take this opportunity to thank Richard, on behalf of the council and all our members, for his incredible hard work and commitment. 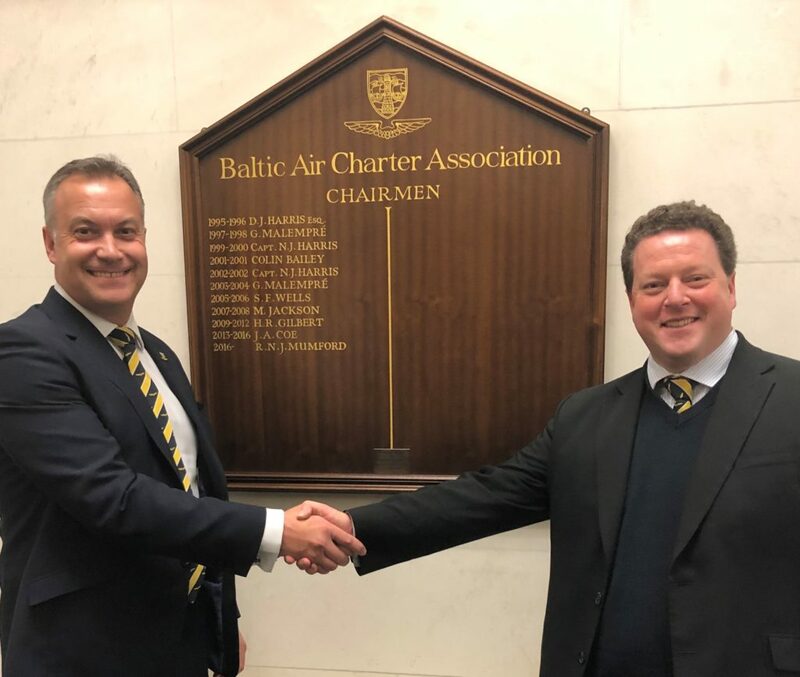 It is thanks to his dedication that the Association is where it is today, and with the continued support of the council and our members I am very much looking forward to taking BACA – The Air Charter Association to the next level and beyond”. At the Spring lunch on 3rd April the formal handover will take place in front of the assembled association members and guests.